LION, in the LinkedIn world, stands for Linked In Open Networker. LIONs are basically open to networking with people that they have never met before, and they are important in the fact that they bridge networks of closed people. If we all follow the standard rule of LinkedIn and say “I Don’t Know” for every invite that we receive from someone who we have never personally met, it would be hard for closed networks to grow into each other and evolve into the great networking community that LinkedIn is today. So LIONs, in general, accept invites from anyone or at least will not give you the dreaded “I Don’t Know” as a response to your invitation. With this in mind, it is relatively risk-free to invite a LION that you found in an Advanced Search into your network. I believe the term was first coined by the gentleman that began the Lions’ Lair at The Meta Network (now defunct), Christian Mayaud (who is a top networker himself). That being said, there is no authority that governs LinkedIn (other than LinkedIn itself, obviously), and thus if a LION (someone who puts LION in their profile on their headline, for instance) responds to an invite with an “IDK”, they are not penalized. You are. I have received an IDK from a “LION” who put the term next to their name on their headline. I even wrote them with a Wikipedia definition of what LION means (note: Wikipedia has since deleted said page) and asked them to invite me into their network to cancel out their “mistake”, but it was to no avail. In conclusion, while it is relatively safe to invite a LION into your network, there is no guarantee that you will not receive an IDK. That is why it is important to review every LION’s profile and contact details to confirm whether or not they really do welcome your invite or not. “Does LinkedIn discourage LIONs” is a question I received from a reader after writing this post. LinkedIn apparently _originally_ did not like LIONs, and that is why they only display up to 500 connections per person as well as limit the number of invitations that you can send out. I believe that they wanted to keep a community of professionals which would be full of high quality, trustworthy networks without people getting spammed. I think that some people who just wanted to connect with everyone in the early days or perhaps some spammers may have ruined this for others, but I don’t know. LinkedIn wants people to know each other when they connect, and that is why they give you an option to send a seemingly innocent “I Don’t Know” as a way to turn down a connection. Recently, LinkedIn has allowed LION groups to exist on LinkedIn, so they are taking a more neutral stance. In fact, the ability to search for LION groups in the groups section, which just began a week or so ago, has made it easier to join LION groups. However, they still place limitations on those who have a lot of connections and send out lots of invites. So, in the end, I would say that traditionally LinkedIn has discouraged but now they are more neutral towards LIONs. I will also add that 1) I am a big fan of Linked In and believe we all need to follow the rules of etiquette as outlined in the End User Agreement which we agree to when we sign up, and 2) although I have been a user since 2004, only in 2008 have I become a LION, so there are many more in the community who understand this topic in more depth. I welcome everyone’s comments to this post so that we can all get a better understanding of the history behind this. One last thing to note: Since I originally ended this post back in 2008, the LION movement, and LinkedIn, has changed quite a bit to the point where many Internet Marketers simply see becoming a LION as an easy way to acquire email addresses to either sell or to opt you in to mailing lists which you never subscribed before. Because of this, and other ways of engaging openly in social media with others that have evolved over the last few years, I am no longer representing myself as a LinkedIn LION (click for more details). That being said, in the spirit of open networking, should you 1) personalize your LinkedIn invitation to me and 2) explain your purpose for connecting, I will most likely accept your invite (click here for my LinkedIn profile). This is actually a best practice for inviting anyone on LinkedIn with whom you might not know well. 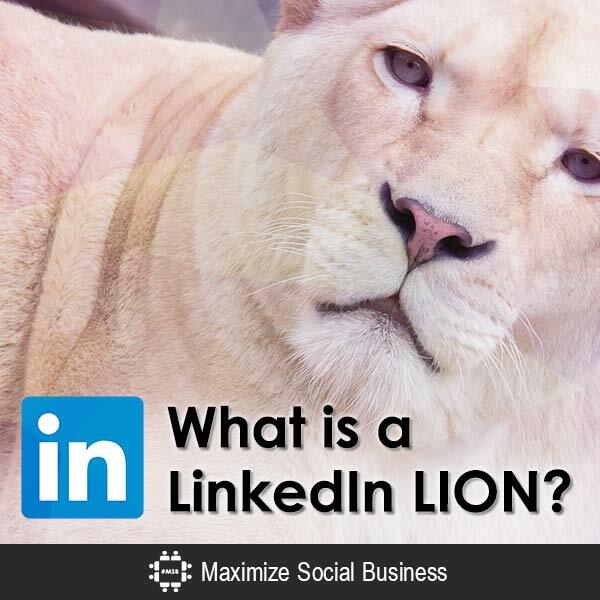 Are YOU a LinkedIn LION? What has your experience been with the open networking movement? Please chime in in the comments below! If every member followed LinkedIn’s advice to connect only with known people, how would tight-knit networks ever evolve into bigger networks? Therefore, LIONS forge larger networks for everyone by accepting almost every connection request. Thanks Neil for Such an wonderful and useful tips.. Thanks, Neil for the article. I am farely new to linkedin, meaning I started my profile years ago and just recently started back up. I do not have many connects and I was wondering how all these people have 500+ connects, and what am I missing! When I researched on google I came across this article. I guess I learn something new everyday. Thanks Neal for the great post. I’ve always wondered what does LION mean on Linkedin profile. Now that I’ve learned it now, will try to implement it in my profile. Good luck on your LinkedIn journey! I’m curious. What is the benefit of having all those random people as a connection? Right now, I am building a new network from scratch in a new city. My tactic has been to apply to jobs through a job board and then locate people that currently hold or have held that job on LinkedIn. I send them an InMail and ask if we can connect so I can learn more about the company and potentially, the job! Ultimately, we meet up for a coffee to have a chat. I have a 47% conversion rate to coffee dates thus far! This has worked well and I feel is honestly categorized as “networking”. I can go back to these people and call on them to connect me with others and rely on them for information. But what about the random requests to connect with no message, no reason, no call to action. What do you do with those people down the line? They shouldn’t be giving you recommendations because they know nothing about you. I wouldn’t assume that they would forward on your resume or supply you with a warm lead because there is no connection there. Does it actually help you to “collect connections”? You should read Why I am No Longer a LinkedIn LION for an updated view of my thoughts, but, yes, if you connect with someone and they won’t respond to any request for an introduction, et. al., their value to you is very low, if any. Of course, if they are connected into certain companies, industries, or geographies they might provide a little social proof as a common 2nd degree connection with others you want to target, but if they are a fake profile, they won’t add any value. Thankyou Neal, most helpful. A further questions. can you have “LION – Australia” if you only want o accept Australian connections? Are there any protocols on this? Hey Craig, there are no rules when it applies to LIONs. You can put whatever you want in your profile and accept or reject whoever you want. Hope the advice helps. Thank you for detailed explaination. Nice one Craig! I’m put off by that as well – we live in an open networking world so there’s no need to blatantly promote the fact anymore I believe. Hi Neal, I was wondering what does LION mean with few of those user on Linkedin. You have given all the useful information pertaining to it. Thanks a lot for your info. Appreciate it. Glad the post helped Jason! You’re bringing a good point about invitations that should ideally be customized. There’s a small problem though. Half of LinkedIn members go to the site from their mobile phone. And LinkedIn does not allow at this time for invitations sent from a mobile phone to be customized. Worse, when an invitation is sent without selecting a category such as what happens when someone sends an invitation from the “People you might know section” , the “Who’s viewed your profile” section or in this case from a mobile phone, LinkedIn automatically default the invitation as a friend request. In other words, all invitations sent from a mobile get marked under the “Friend” category when the recipient opens the invitation. Pretty inconvenient to not say the least. You’re absolutely correct, Jonathan. LinkedIn has actually become much more open since when I originally wrote this post, which I think explains why they did this. On the other hand, it has made LinkedIn a bit more impersonal. If you know the person your receive the invite from you don’t necessarily need to personalize it, but if you don’t know them …. Thanks Neal for sharing your Knowledge about LION..! From my experience, it’s only a minority of people that decline invitations that actually go ahead with the IDK or spam buttons. The majority just content themselves of ignoring/archiving the invitation and eventually deleting it manually. There are many reasons abounding for this. The main reason is that IDK/Spam are additional options that appear after someone has decided to ignore an invitation. And most people are not gonna bothered going as far as IDKing or marked as spam an invitation. They just want to get your invitation of their faces and move on to other things. Another lesser reason is that some people are actually aware of the consequences of pressing the IDK/Spam buttons, and while they may not want you in their network, they don’t necessarily want you to be sanctioned either. It’s true that there are some “LIONs” that use the IDK or spam buttons although i don’t estimate them to make more than 10% of all LIONs. I’ve been IDKed by a “LION” that had many connections in common with me and that prominently says on his profile that he “accepts all invitations to connect”. I personally think it’s not a good idea to connect exclusively with LIONs. I think a credible network should be made of both LION and non-LIONs (or at least people who don’t openly portray themselves as LIONs even if they are in practice). The best way to connect with non-LIONs is reaching thoses that have at least 100 connections in common with you. That’s generally a safe bet. But here again, there’s no guarantee that you won’t receive an IDK. I’ve been IDKed by a woman (a non-LION) that had well over 400 connections in common with me. What didn’t I have that the others have? I have no idea. Sometimes people will IDK for corny reasons such as they don’t like your picture or your face. Other times, it can be because the recipient is having a bad day and if he/she had received your invitation the day before or the day after, you wouldn’t have suffered the consequences. It’s fair to say that 75% of people that use the IDK/Spam (LIONs and non-LIONs alike) are probably not even aware of the consequences attached to such action. All the updates I get, are of LIONS offering merchant accounts !! Ive been on Linkedin since 2007 and never known such an invasion, in my opinion we need a need a LION culling button! Well I reached LION status, and I jumped through all the hoops. As it stands, I’m waiting for all the head hunters to fill my inbox with offers of $50,000 jobs, left and right. I’ve yet to see it. But, I notice I go through stages of interest, and I have no idea what I’m doing for it to skyrocket one day and get down to nothing the next. One day I’ll have 80 people view my profile and the next 3. I’m assuming lots of 80+ days is a good thing and 3+ not so much. That being said, I welcome everyone and connect people. I’m the stock trading specialist of LinkedIn. I’m paying it forward, and hoping my good deeds will not go unpunished. Hi Kevin, thanks for your comment. I don’t think becoming a LION will promise you additional business or jobs, but it does allow you to become approached by other LIONs that see you as being open to networking with them. That being said, this post is from 2008, and since LinkedIn, and the people who use LinkedIn, have changed so much since then, I blogged back in 2011 as to why I am no longer a LinkedIn LION. You should read that for some perspective into the issues. Either way, I would focus more on engaging with others in your target market through connecting with them and engaging with relevant professionals in Groups. It’s because they don’t want you to respond to their LinkedIn invitation with an “IDK,” or I Don’t Know, response. If LIONS accept all invites, why do alot of them write no IDK’s after posting their email? Surely people who add them are generally people they don’t know?? Thank you Mark – and glad you called LinkedIn a tool, which is what I call it as well. Thank you for the explanation. I was a little surprised when I saw LIONs lists sold on Fiverr and advertised as “people who will auto-accept you”. I accept most profiles that invite me, as long as they are legit (having a premium subscription also helps), but one needs to control this before it becomes free-for-all for spammers and LinkedIn really brings the ban hammer on us. Thank you Neal. I had formed an idea over the years what a LION is, but, sometimes it takes articulating as you did, to breath life into vague concepts and point us toward efficient use of this tool called LinkedIn. You’re very welcome Arlie! I have a number of posts regarding LinkedIn LIONs on this blog that you should check out if you’re interested. Glad the clarification made sense! Keep networking! Thanks for clarifying. I used to think that you need to connect up with at least 1000 people to get that LION status. Well good to know and thanks again. Glad to be of help Perry! Great post Neal….I have to be honest…I was always curious what that was! Thought maybe it was some super user award for a number of connections…. Since there is no rule or governing authority for LIONs, no one can say what etiquette rules apply here. I applaud that you do not select “IDK” unless it's for an extreme case. It is up to the person sending the invitation to keep track of who they sent invites out to…I recommend in my LinkedIn book that people keep track of it in a separate document because LinkedIn makes it hard to organize. I also believe that invitations should be even a little bit personalized. As more and more LinkedIn users become LIONs, it is important to reflect upon other LIONs like yourself, so I sincerely appreciate your comments! I am a LinkedIn Open Networker, however it always irritate me when someone attempts to connect without at least making the effort to state a reason for connecting so as a result I consider their request as “What's in it for me?”. Out of courtesay, however I usually archive the request vs the dreaded IDK. I have had to use the IDK when the same inidvidual kept on attempting to connect without bothering to creatively say why… Other requests stating a reason have always been accepted. Hi Colin and thank you for the compliment! I do not believe that there is a text limit to the comment as everything seems to appear here. Yes, I am very familiar with Spin Strategy and its author Tim Tyrell-Smith…one of the nicest and most genuine people you will ever meet. The fact that he is smart and his blogs are always on target goes without saying! 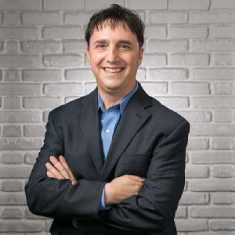 Yes, I designed the blog to be read by hopefully beginners as well as those that are experienced with social networking. The idea is to hand-hold newbies while offering additional insight for the veterans. My soon to be released book on LinkedIn is done in a similar vein, so I do hope that you enjoy that when it comes out! Thanks again and look forward to reading your comments in the future! I don't know if there's a character limit for comments. Anyway, I discovered this blog through Spin Strategy's “30 Ideas for Job Searching” e-book. I'm mutilating the title, but it's something like that. Anyway, I am very glad I discovered the Windmill Networking blog. Finally, a blog that is not afraid to teach people who know next to nothing about social networking. That this blog would actually dare to teach the basics in a manner that does not dumb down our intelligence. I look forward to reading more on this blog. I already have this feeding on my Google Reader. Keep up the good work. I plan on reading the “Lions you must connect with” posting next. Note that the groups that you mentioned, and the LinkedIn group “LIONs LI Open Networkers”, does not remove members for doing so. Be very, very careful when inviting LIONs, including ones who say LION in thier LinkedIn name. Some will IDK you, which is the cardinal sin for LIONs. The reason is sinister [link deleted by admin].